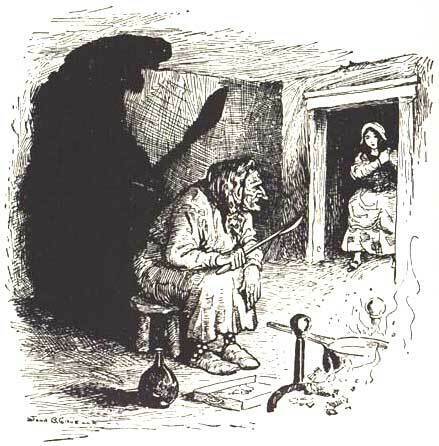 Shakespeare, Dickens, cannabalistic serial killers and talking birds all make an appearance in this week's twisted episode 'The Robber Bridegroom' as voted for by our wonderful listeners! Yet another miller has promised his daughter away to a mysterious, handsome suitor. But our bride is filled with horror at the thought of him and only after much cajoling does she reluctantly agrees to visit his house in the deep dark woods. Standing on the threshold of the forest, a trail of ash leads the way to the lonely house and our heroine begins a terrifying escapade in what uncannily resembles a modern horror movie. This week's story introduces many new fairy tale tropes as well as a brand new colour of deadly wine. We also explore other stories from the ATU type 955 including the fantastic English story, Mr. Fox. Thank you so much to everyone who voted, we're very excited to present the listener poll's winning story this week and hope you enjoy!